As culture is becoming increasingly recognised as a crucial element of sustainable development, design competence has emerged as a useful tool in creating a meaningful life within a sustainable mental, cultural and physical environment. Design for a Sustainable Culture explores the relationship between sustainability, culture and the shaping of human surroundings by examining the significance and potential of design as a tool for the creation of sustainable development. Drawing on interdisciplinary case studies and investigations from Europe, North America and India, this book discusses theoretical, methodological and educational aspects of the role of design in relation to human well-being and provides a unique perspective on the interface between design, culture and sustainability. 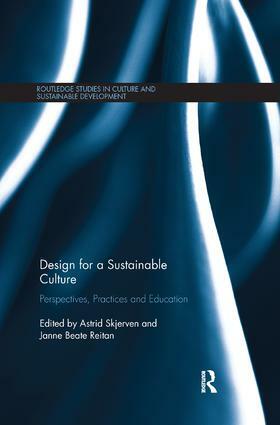 This book will appeal to researchers as well as postgraduate and undergraduate students in design and design literacy, crafts, architecture and environmental planning, but also scholars of sustainability from other disciplines who wish to understand the role and impact of design and culture in sustainable development.